We are back with another guest post on my blog. This post is by Erica Johnson. Erica Johnson is the Main Editor for Inner Parents and a very proud mother of two who’s passionate about the latest parenting tips & baby products. Babies, especially infants, are really good at a few things during their first stage of life: sleeping, eating: and making a complete mess in their diapers. Some parents have a little difficult with the last one, especially if they have not changed a diaper before. Don’t worry! With InnerParents diaper changing tips: 3 things to do before you change your baby’s diaper, even the most inexperienced parent will become an expert in no time. The last thing you want is to be hands deep in a messy diaper change and realize that you left your diapers, or diaper cream downstairs. Before you get started make sure that all of your necessities are easily within arms reach. Every diaper station should have plenty of diapers, wipes, and diaper-rash cream easily within reach. Before you get into the actual diaper changing, you want to ensure that your baby is in a safe place. This is especially true if they are high up, such as on a changing table, a bed, or a couch. If straps are available, use them. Even your newborn who can’t roll yet can stretch and fall of the surface. Don’t just rely on these straps, keep a constant eye on your baby to ensure that they are safe. You probably don’t need anyone to tell you the babies are antsy. Especially when you need them to lie still for a diaper change. In order to set yourself up for a smooth diaper changing experience, have something in mind to keep him or her occupied. Play peek-a-boo, place a mobile over the changing table, sing songs, shake a rattle. This will help your little stay focused on something other than the fact you are changing their and prevent wiggling mid-change. 3. Open the buttons on your child’s outfit or remove the pants to check if any diaper contents have spilled into the clothing. Focus on removing this mess first. 4. If the diaper only contains urine, gently clean the baby’s parts. 5. If the diaper is soiled gently use remove any excrement with the diaperas you fold it up under the baby. 6. Use a wipe to clean from front to back. Make sure you check and clean under all of the folds of your baby’s skin. This may take several wipes. 7. Once the baby is clean, use diaper rash cream where necessary and put on a clean diaper. Did you enjoy this list? If so, don’t forget to like and share! 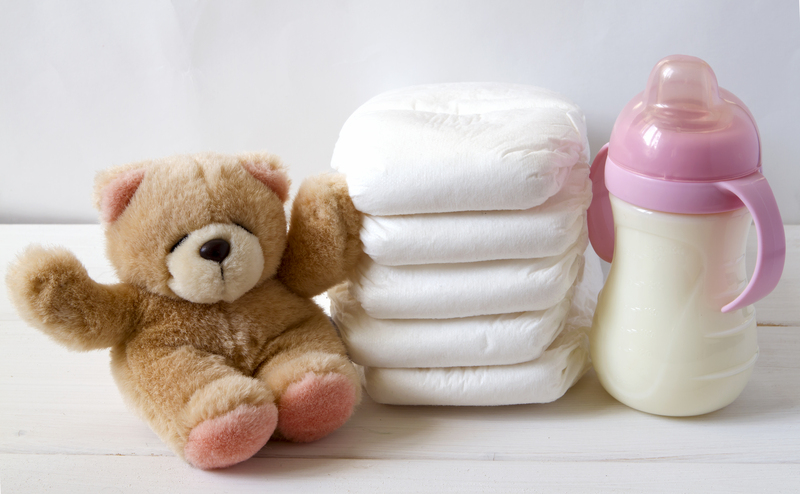 Use the comments below to tell us about your favorite way to prepare for your baby’s diaper change.